looked below and really…I’m sure …. 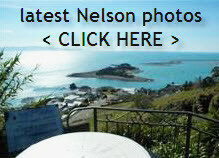 ….couldn’t wait to land in Nelson, the centre of NZ, oh and while I’m at it….NZs historically proven Sunshine capital…still in 2014 the holder of NZ alltime sunshine records. This entry was posted in Buyers, General, Nelson, New Zealand, photography, rent, retirement, Sellers, Stats / Sales Data, The Market on September 4, 2014 by David Leggott.